He was also one of the three field workers killed in Philadelphia, Mississippi, by the Ku Klux Klan in the summer of 1964 for his civil rights work in the Mississippi Freedom Project. he was only 24 years old. A Columbia Univ. grad student at the time, he was working as a social worker and teacher. 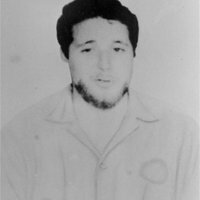 “photo of Mickey Schwerner, Downtown CORE,” corenyc.org, accessed April 21, 2019, http://www.corenyc.org/omeka/items/show/15.